Bristol Show 2017 - news, highlights, best new products | What Hi-Fi? The Marriott City Centre Hotel was again the hub for hi-fi with over 170 exhibitors on display, including big names like Arcam, B&W, KEF, Naim, Q Acoustics, Rega, Sennheiser, Sony and more. There was no shortage of exciting products on display, including a couple of new surprises, a smattering of Award-winners, and many of the top products revaled at CES 2017 in Las Vegas. The entire What Hi-Fi? team will be on hand throughout the weekend to help answer your hi-fi and AV conundrums. And in our, ahem, legendary demonstration we'll have £65,000 Dolby Atmos cinema system including a JVC 4K projector and Oppo 4K Blu-ray player feeding into a Dynaudio Contour 5.2.4 Atmos speaker package. Not to be missed! Plus there's £12,000-worth of fabulous kit to be won in the show competition, with Award-winning prizes up for grabs. Come and see us in the Bristol Suite. One of the highlights of the Arcam room will be its new rPlay audio streamer and DAC with DTS Play-Fi that we awarded a Stars of CES accolade. It can turn your existing hi-fi into a multi-room streaming system and includes AirPlay and UPnP (Universal Plug and Play) connectivity, as well as the ability to handle hi-res audio up to 24-bit/192kHz through wired and wireless networks. Also new from Arcam will be its £4000 AV860 AV preamp/processor with Dolby Atmos and DTS:X 7.1.4 decoding, Class G amplification and full 4K HDCP2.2 and HDMI 2.0a compliance. Acoustic Energy is going to be launching new models of its AE1 loudspeaker; the first of which is the domestic AE1 Active speaker. It is also bringing the BT2 Bluetooth speaker, and a redesigned and updated AE109 speaker which will be available later in the spring. Celebrating its 20th anniversary, Audio Analogue is giving the "'Anniversary' treatment" to its Maestro integrated amp. The left and right channels now have their own separate grounds and dedicated mains transformers. The amp’s circuitry has also been refined, with custom-made polypropylene capacitors, 7N OCC (Ohno Continuous Casting) copper wiring and pure copper output connectors. It has also been given pure copper tracks to improve power delivery. Two new flagship pair of wireless headphones will be joining Audio Technica this year, the ATH-DSR9BT and the ATH-DSR7BT. The highlight of these headphones is that they are the first to feature technology which keeps the audio signal completely digital from the source direct to the headphone drivers, which gives a more natural sound quality when combined with the company's new driver design. We recently reported that Tidal has updated its subscription service to include high-quality MQA streaming, and Bluesound will have a multi-room system at the Bristol Show to demonstrate how it integrates with Tidal's MQA audio. Just as it did last year, Bowers & Wilkins will be bringing its 800 Series Diamond speakers, but this time "in a variety of configurations for the first time in the UK". No specifics yet on what that means, but we do know its brand new DB range of subwoofers will feature in some way. Chord is going to be in two ground-floor areas this year, with three new products which we first saw at CES 2017: there's the Hugo 2 DAC, a revamped version of the original Hugo, and Poly, a dedicated network module for Chord's portable Mojo DAC. Chord will also be showing its new Blu MkII upscaling CD transport, which is designed to work with the company's high-end DAC, DAVE. The Blu MkII will have a USB Type-B input, which makes it compatible with DSD and PCM data. Joining the show will be Elipson's new flagship turntable, the Omega 100 RIAA BT Carbon. Along with the features we've come to expect from the Omega range - digital speed control motor, integrated phono stage, USB record out and Bluetooth for wireless streaming - the Carbon will have a carbon fibre deck, an aluminum lift arm and an Ortofon 2M Red cartridge. It'll be available in the UK from March, at £700. New from Exposure will be its half-width-size XM series of amplifiers, namely the XM5 integrated with built-in phono stage and DAC, and the X3, a standalone phono stage. The latter has separate MM (Moving Magnet) and MC (Moving Coil) inputs as well as adjustable loading and gain. If you're looking for new headphones, Focal might be right up your street. The company will be exhibiting its Utopia, Elear and Listen headphones, and offering the chance to win a pair of the Listens. It will also be pairing up with Naim, to demonstrate the company’s new streaming platform, Uniti. Happy 40th anniversary to Harbeth! To celebrate, the company is launching two limited-edition versions of its SuperHL5plus speaker and brand flagship, the M40.2. Both will be given a walnut veneer, a new "super-tweeter" with protection bar and new audio-grade poly capacitors - as well as limited-edition badges on the front and back. Making their Bristol debut will be the IsoAcoustics IsoPucks - small, puck-like discs that you place under your speakers or electronics to isolate them from the surface they are sitting on. The Pucks feature a flange suction cup on the top, as well as a bottom suction cup flange for the supporting surface. They are 3cm tall and 6cm in diameter. The new IsoTek Genesis One mains regenerator has been designed to filter and distribute the mains supply and deliver "pure, refined power that optimises and protects valuable audio and audio-visual equipment", its maker claims. Taking centre stage in the JL Audio room will be its audiophile-grade CR-1 'bridge' that connects a stereo system to a powered subwoofer. From the CR-1's stereo inputs you can drive either a mono subwoofer signal or separate left and right signals for a pair of separate subs. Inputs and outputs are provided for both balanced and unbalanced sources. You can hear the CR-1 in action in room 328. The British speaker specialist will be showing off its LS50A Wireless music system in the Concorde Suites 1 and 2. With 200W of built-in Class D amplification, a 24-bit/192kHz DAC and Bluetooth, this has all your hi-fi needs in a plug and play system. KEF will also be showcasing the latest results from its collaboration with Porsche Design: the Space One over-ear noise-cancelling headphones, Motion One Bluetooth in-ear headphones and its Gravity One Bluetooth speaker. Exclusively showing at Bristol will be a prototype of the new Titan 707, a smaller, single-box version of the company's flagship Titan 808. It will incorporate drive units crafted exclusively for Kudos by Norwegian specialists SEAS. And like the Titan 808, the new 707 will be able to run in active mode with high-end systems from the likes of Linn and Devialet. Chief designer Derek Gilligan and his team have been putting the Titan 707 through its paces. Come and hear it for yourself in Bristol. This year, you can expect to see Leema Acoustics’ new Quasar streaming amp and DAC, its Sirius audiophile streamer, as well as the £5000 Tucana II Anniversary Edition stereo amplifier that we awarded five-stars. Loewe will be bringing the bild 7 television – the first European OLED TV - to the show, along with its new new klang 5 floorstanding speakers and subwoofer. Notably, all audio processing and amplification is integrated within the TV and speakers, so we look forward to seeing the results. The uniquely named Majentix will be presenting its equally-uniquely named WARP - which stands for Wireless Audio Rendering Player. According to the company, this piece of kit acts as a way to intergrate streaming sources with wired hi-fi, through both Bluetooth and Wi-Fi. Taking up two rooms at the exhibition, Monitor Audio will have a 5.1 channel setup of its Platinum II speakers, including the 300, 100, C350 and W15 subwoofer - in Room 1008. In Room 208, you can see the Platinum II 100 and 200 loudspeakers paired with Roksan’s Blak amplifier and CD player. There will also be the Roksan Radius and Xerxes turntables on display. If you're looking for somewhere to store your music, then the M6 Encore Connect that Musical Fidelity is demonstrating might interest you. Its 1TB of internal storage can connect with a number of network speakers and an analogue preamp providing fixed and variable outputs. The company will also be showing the £5000 Nuvista 600 integrated amplifier. One of the highlights of the Naim room, and almost certainly the show as a whole, will be the company's all-new Uniti range of wireless streaming products. You can read about this elsewhere on whathifi.com, but this could be the first chance for many UK visitors to see and hear Naim's impressive new line-up in action. Making their debut in the UK are the Micro Evolution One TAD-ME1-K bookshelf speakers. They feature a 16cm woofer and 9cm CST1 driver with beryllium tweeter. The speakers are tuned to give a "natural deep bass sound" thanks in part to a bi-directional ADS2 port. Planalogue will demonstrate its new Prelude turntable in rooms 304 and 306. There will be two versions on display: one with an Abis SA-1.2 tonearm fitted with a HANA SL moving coil cartridge in room 304, and a 12in Audio Origami tonearm with Hana SH in room 306. The new Astin Trew integrated amp, Pearl Acoustics speakers (specifically, the Sibelius loudspeaker) and Cove Audio cables complete the systems on demo. The big news from PMC at Bristol will be the launch of the high-end AVM electronics brand in the UK. AVM, based in Germany, has been making high-end electronics for 30 years. 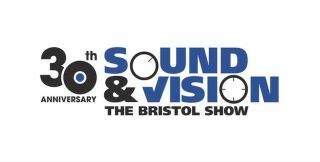 On display at Bristol will be the AVM Inspiration, Evolution and Ovation ranges which include integrated and pre/power amplifiers plus a variety of CD players, streamers, CD-receivers and all-in-one systems. PMC will also be showing its twenty5 series speakers, including the two-way twenty5.21 and twenty5.22; and three floor-standing models, the twenty5.23, twenty5.24, twenty5.26. Visitors to Bristol will be able to get their first look at Pro-Ject's new Essential III turntable. Unsurprisingly, it is an improved version of its Award-winning Essential II player. The company says it has added £100-worth of improvements to the deck for a price increase of just £30. The Essential III comes in black, white and red. It has an Ortofon OM 10 cartridge pre-installed, and is fitted with a new Acryl-IT E platter. You can hear it in action in the Henley Designs room 416. Last year it had the Media 7000i 2.1 Audio System, but this time Q Acoustics is showing off its finalised Concept 500 loudspeakers. The prototypes were announced at the 2016 Munich show, but the finished products cost £3600 per pair and weigh 42kg each. They have bespoke driver units and "more advanced speaker technology than you can shake a stick at", including 'Helmholtz Pressure Equalisers' and a unique 'Dual Gelcore' cabinets. The Atera One will be taking centre-stage on Quad's stand; it's a combined CD player, DAC, amplifier and hi-res streamer, which we saw at the 2016 Bristol Show. Quad will also be showing the Artera Link - a similar product to the One but without the built-in amp - the VA-One DAC and valve amp, and its Z Series speakers. Quadral is bringing the Galan 9 desktop speaker to Bristol with the bold claim that "it is the best product that we have ever made". It's the smallest of the Aurum range, with a 16cm woofer and a tweeter on top, but Quadral says it can still deliver a big sound. Danish loudspeaker brand Raidho will make its Bristol debut thanks to new UK distributor Decent Audio. Raidho speakers feature the company's proprietary ribbon tweeter and its own midrange and bass ceramic drivers with diamond-coated cones. Sister brand Scansonic's more affordable HD speaker range will also be on display. You might expect a new subwoofer from REL, but the Number 25 it will unveil at Bristol is a 'no-holds-barred' flagship model designed to showcase the years of experience the company has built up in subwoofer design. The brief to its engineers was simple: "no restraints". Described as "the most dynamic and beautiful sub REL has ever produced", it's the embodiment of everything the company knows. Also on show for the first time will be the G1 Mk2 model. It may not be that well known a name in hi-fi land, but Reloop has decades of experience in the DJ and pro audio industry. Last year it introduced its first turntable, and this year sees the arrival of the Reloop Turn 3 model. The turntable is internally grounded, has a built in Moving Magnet (MM) phono stage, standard line out RCA connections and a USB output for connecting to a PC or Mac so you can digitise your vinyl. Launching a new version of its Brio 50W/channel stereo amplifier, Rega's latest model has been given a sleek, minimal body - but of course, it's not all about looks. There's also a redesigned circuit board and two separate power supplies: a larger one for the main power amplifier section, and a smaller unit for the phono stage and preamp. Topping it off is a dedicated headphone jack and moving magnet (MM) phono stage designed to work with the company's own Planar turntable. Representing Revel are its M16 speakers, connected up to the Primare I32 stereo amplifier. In the room next to it, demonstrating an SVS Dolby Atmos system, is the UK debut of the 'Prime Elevation' effects speaker, supported by the new SVS SB16 active subwoofer. On the Sennheiser stand you'll be able to see a number of headphones including the PXC 550s, which are wireless and noise cancelling, the HD 800 S, as well as the new HD 5 series. The company will also be exhibiting the recently announced Momentum in-ear wireless headphones, which can connect to two Bluetooth devices at once. As the wireless version of the Award-winning wired versions, it will be interesting to see how these cans fare at the show. For the first time in the UK Sony is revealing its new 4K Ultra HD Blu-ray player, the UBP-X800. The company showed it off at CES, and while we managed to get a hands-on with the player, we're still yet to see it in action. There's also an appearance from the new STR-DN1080 AV receiver, which supports Dolby Atmos (a first for Sony) and DTS: X along with 4K HDR pass-through and upscaling. And it can apparently recreate two virtual rear speakers using the Phantom Surround Back setting with a 5.2.1 set up. For wireless connectivity, Bluetooth, Chromecast, Spotify Connect and wireless multi-room is all built-in. The Bristol Show will mark the UK debut of the brand new Technics SL-1210GR turntable. The first '1210 for ten years (and that was a special edition), the new deck is a black take on the SL-1200GR launched earlier in the year. At £1300, this is the most affordable new Technics deck to date. Is it worth it? You can decide for yourself at the show. Wilson Benesch is going to be showing off the fifth iteration of its A.C.T. One Evolution P1 loudspeaker straight from Las Vegas. This is a speaker that employs carbon fibre in an effort to achieve maximum stiffness and dampen any sound coloration. At £21,500 this is a touch of genuine high-end engineering and well worth a listen. Marriott City Centre Hotel, Lower Castle Street, Bristol BS1 3AD. Friday 24th February to Sunday 26th February 2017. Open from 10am-5pm each day.